The UK economy will grow more slowly outside the European Union, no matter what deal is struck with Brussels, a leaked government document suggests. The BuzzFeed News website reports the Whitehall analysis found growth over the next 15 years could be up to 8% lower than if the UK stayed in the EU. The document is said to look at the likely impact of different scenarios. Government sources say the UK will not be worse off, and its preferred bespoke trade deal option was not analysed. Meanwhile, the international trade secretary Liam Fox has said fellow Tory Eurosceptis must now accept that they will not achieve their vision of Brexit. Chancellor Philip Hammond last week suggested the UK and EU economies could only move “very modestly” apart after Brexit. His remarks sparked outrage from backers of Leave and reports that the prime minister was struggling to keep her party together. According to Buzzfeed, the leaked document was titled EU Exit Analysis – Cross Whitehall Briefing and drawn up for the Department for Exiting the EU. It suggests UK economic growth would be 8% lower than current forecasts, in the years ahead, if the country left the bloc with no deal and reverted to World Trade Organisation rules. It says growth would be 5% lower if Britain negotiated a free trade deal and 2% lower even if the UK were to continue to adhere to the rules of the single market. 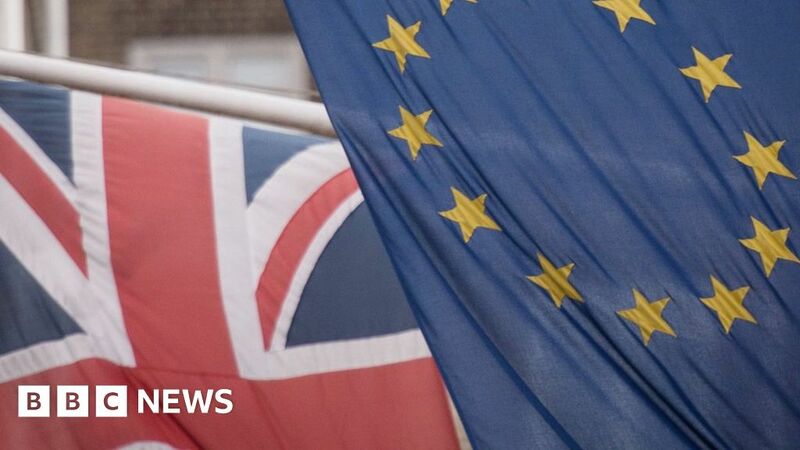 The government sources point out that the document has not modelled the effect of a bespoke deal covering trade and financial services – the government’s preferred scenario – and it does not attempt to anticipate the outcome of negotiations. The BBC understands the Treasury contributed to the document but sources say it is part of a much wider range of work going on in Whitehall. The source said: “An early draft of this next stage of analysis has looked at different off-the-shelf arrangements that currently exist as well as other external estimates. “It does not, however, set out or measure the details of our desired outcome – a new deep and special partnership with the EU – or predict the conclusions of the negotiations. The chairman of the European Research Group of Conservative MPs, Jacob Rees Mogg, said that economic modelling so far had been “highly speculative” and often inaccurate. Similar analysis carried out by the Treasury ahead of the Brexit referendum predicted large scale job losses if there was a vote to leave and had been “comprehensively wrong”, he said. But Labour MP Chris Leslie, a member of the Open Britain group which campaigns against a “hard” Brexit, said ministers had to publish their analysis in full. On Monday the European Union set out its demands for the temporary transition period after the UK leaves in March 2019. It wants the UK to continue to follow its rules but not be involved in making decisions. Giving evidence to a House of Lords committee, Brexit Secretary David Davis said the UK wanted a “right to object” to new laws passed by the EU during this time. Meanwhile, the EU (Withdrawal) Bill is set to begin its passage through the House of Lords. The legislation cleared the Commons last month with only one government defeat but it is predicted to face a far rougher ride in the upper chamber.